Therm-App is an innovative thermal camera that is small enough to fit in your pocket or the palm of your hands. 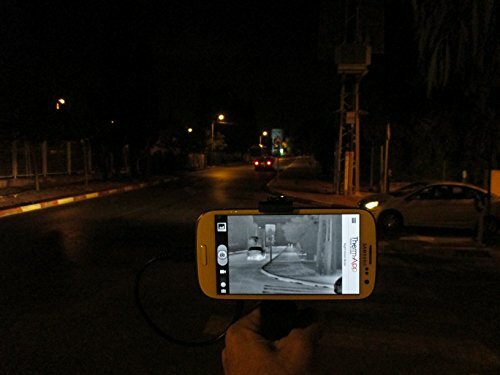 A product developed by Opgal Optronic Industries, this thermal camera will transform your Android smartphone into a functional high quality thermal camera. 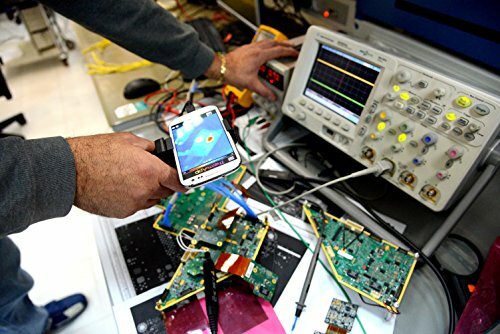 Brief History of Opgal Optronic Industries Ltd.
Opgal Optronic Industries, an Israeli Company, is a leading player in the world of Thermal and near infrared devices. Since 1983, the company has established itself as a reliable brand for security, aviation, industrial, and defense markets. The Therm-App thermal camera is their most popular product so far. 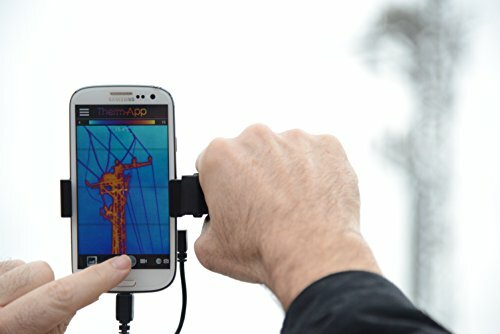 It uses the processing power and display capabilities of your Android smartphone to give you a powerful thermal camera that is great for outdoor and professional thermography. When it comes to thermal cameras, FLIR is another name we can’t overlook. It is a brand with some of the best thermal cameras for different situations. Let’s compare features between the Therm-App, FLIR ONE, and SEEK Compact Thermal Cameras. The FLIR One and Seek Compact thermal cameras are entry-level models that are best suited for home inspections or for outdoor activities like watching animals or finding a lost pet. The Therm-App provides even more possibilities as it can be used in professional thermography. This means they can be of use in detailed inspections and to solve problems such as rescue missions in a burning building. You get high-end resolution with the Therm-App camera at 384 x 288 pixels over 160 x 120 for the FLIR ONE and 206 x 156 for the FLIR Seek Compact. The Therm-App also allows changing of the lenses which is an incredible solution to improving versatility for different situations. And with the detailed images, you will be able to achieve more with the Therm-App on a professional level. However, the Therm-App thermal camera is only compatible with Android devices which is a drawback. 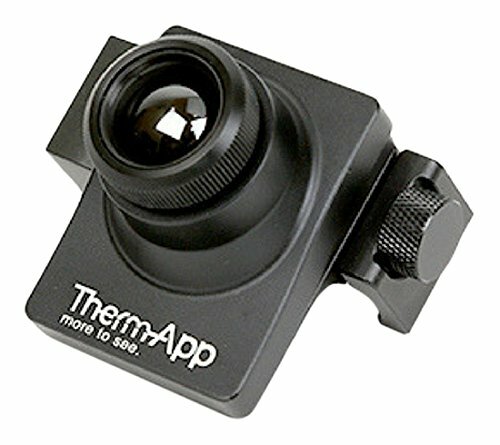 This thermal camera is the most popular in the Therm-App line. It is a professional-grade model with two operating modes. It provides full day and night imaging as well as basic thermography. From inspecting buildings to catching intruders, and tracking animals in the dark, you have every reason to own the Therm-App Basic. Since it attaches directly to your smartphone, you will be able to transmit images directly from the field. It provides fast feedback so that you can finish a project faster rather than waiting for feedback when you have left the field. This camera can attach to your smartphone using a clip. It is a simple process that does not take long to perfect. You will love its versatility since it can also mount on tripod stands as well as tripod mounts. When using it with your Android smartphone, you only need to download the Therm-App from Google, and you can start exploring the world of thermal images. Don’t forget to insert the USB cable to your smartphone. 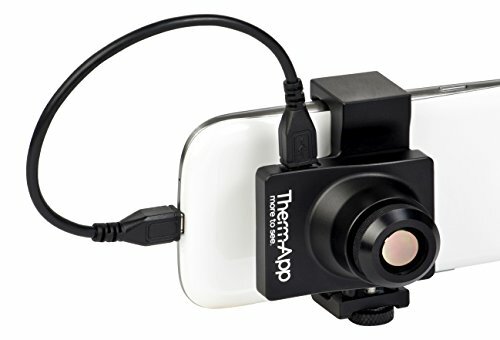 Therm-App Basic and all other thermal cameras in this line will work with every Android smartphone that runs Android 4.1 or higher and supports USB OTG. This is almost every Samsung Galaxy phone from the A8 to the Samsung galaxy F. It will also work with the LG, HTC, and Motorola smartphones. With an IP54 rating, this thermal camera is going to go anywhere you want it to. It can withstand direct water splashes, dust, oil, and dirt. It is ruggedly built to withstand the environment elements which means you can count on it for most adverse situations. This thermal camera will give you crisp, clear images in the dark no matter the weather condition. It uses a 380 x 288 17u thermal detector that is complemented by this unit’s image processing algorithms. This results in well-detailed images. The Therm-App software comes in handy to give you more imaging as it allows you to record videos with audio or take snapshots. It also has a zoom feature that offers continuous zoom using your phone’s touchscreen. Looking at the frame rate, this model has a 8.7Hz refresh rate. It is not the best aspect of this device since it will be hazy when watching or tracking moving moving targets. But with the Therm-App Hz, you get a higher refresh rate (25Hz) which translates into better images of moving targets. It will not work with an Android phone that does not have a camera or Iphones. There are not many differences between the Therm-App Basic and Therm-App Hz. Well, except for the 25Hz refresh rate which comes in handy when tracking moving subjects. This feature makes it applicable in outdoor night applications more so in surveillance where you want to enhance security on patrols and around perimeter walls. Like the Therm-App Basic, this device uses a 380 x 288 thermal detector. It provides the precise analysis of night images to provide high contrast pictures of targets. This means you will be able to tell there is a live subject behind a tree or a rock. You will see hot spots around an image which helps to identify potential targets. The interchangeable lenses are available in 6.8mm, 13mm, 16mm, and 19mm specifications. With the 6.8mm lens, you will be able to watch things that are close up while the 19mm lens offers manual focus. It is not affected by extreme temperatures which indicates it will give clear images whether its viewing images over hot or cold backgrounds. The configuration of this thermal camera is super easy. 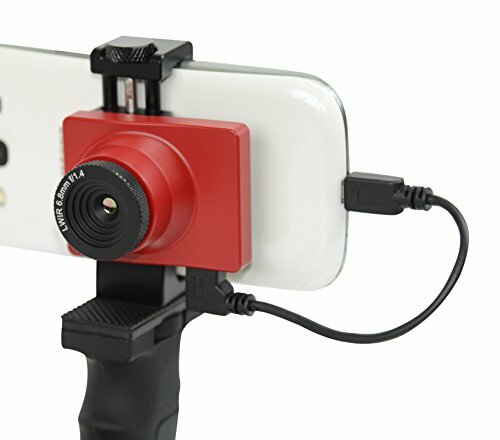 You can clip it on your phone, use it with a handle, or a ¼”-20 standard tripod mount. It supports OTG USB Android smartphones with v4.1 and above. 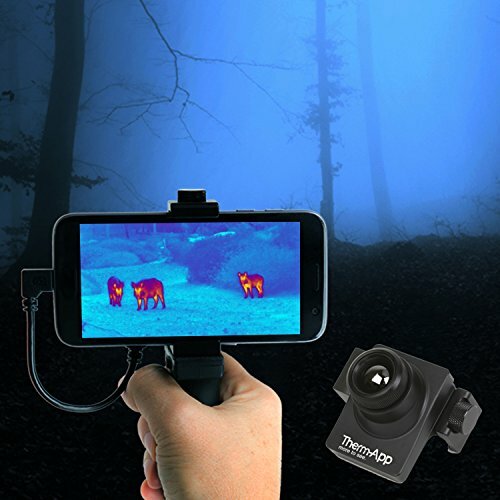 You will love using this thermal camera with your smartphone since it can record, stream, and share thermal images and videos. Focusing this thermal camera is fast and easy using the focus ring. You will get the minimum and maximum temperatures of your images on a scale as well as the hottest spot in the middle of the image. It is highly accurate as it gives you temperature ranges that are within +/- 0.1 degrees Celsius. If you are looking for an innovative device that you can you can use for professional work and more so for moving images; you have your best shot with the Therm-App Hz. The Therm-App ® TH is designed for professional thermography applications. It is the ideal pick when you want contact-free material testing like inspecting electrical installations, heating, ventilation, and air conditioning. It will help you discover heating irregularities to avoid future maintenance expenses that could be avoided. 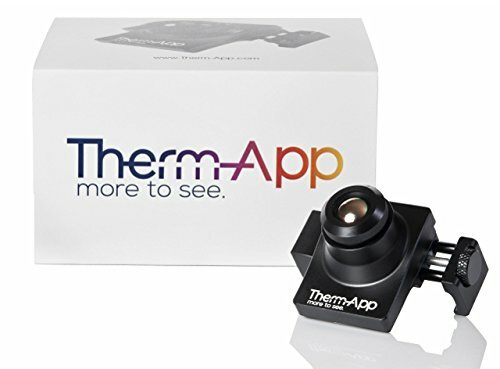 Therm-App TH comes with a 380 x 288 thermal sensor. It offers bright and highly-contrasted images for its different applications. You will appreciate that it will use the touchscreen of your phone to operate the device. This means you will not have to learn anything new since the thermal app is quite straightforward. You get radiometric capabilities and analysis tools that allow you to get detailed reports of the images on your screen. You can update thermographic data using the app, so that your data and reports will always be uptodate. With the use of Image-Fusion technology, you can watch a thermal image inside a digital image for better analysis. It has features for automatic or manual linking of infrared and visual images as well as voice and text notes. What’s more, Therm-App provides instant sharing of images and data via email, Dropbox, and SMS. This modular device is right in the middle of innovative technology. 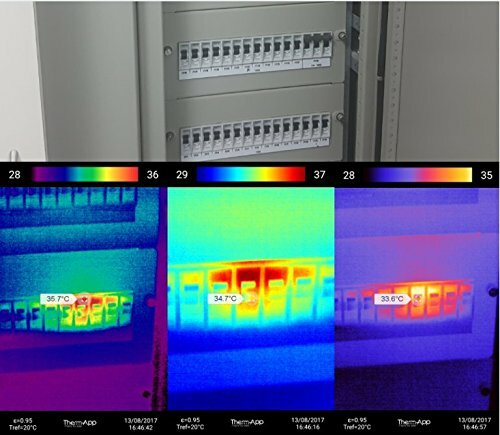 It can run a set of thermographic analytics for in-depth reports of thermal infrared images. Everything about the Therm-App Pro 640 spells quality and performance. It provides the longest range of detection of human-sized objects at 1000 yards and 3200 yards for vehicle-size objects. Where would you not take this device? This device has the highest thermal detection resolution at 640 x 380 pixels. It is the highest resolution you will get with a thermal camera its size. You also get to work with 0.030C NETD sensitivity. This gives you flawlessly clear images at night. Considering its small size, we believe it’s going to be an asset for all your outdoor applications. Like the Therm-App Hz, this thermal camera also has a 25Hz refresh rate. It is efficient when watching moving objects while still maintain the high image quality. Setting up and configuring this device is a breeze. It will use the supplied clip to attach to your smartphone and USB cable to draw the power. It will work hand-in-hand with the Therm-App software which provides night vision and thermography applications. You get six color palettes and continuous digital zoom that helps in close up inspecting of images. With the ring focus on the sides of the thermal camera, you can manually focus an image when scanning different environments. This thermal camera gives you high accuracy, long-distance detection, and a wide variety of usage. It is your go-to for plumbing, HVAC, Security, surveillance, and hunting. Thermal imagery has the most extensive applications in infrared imaging. From industries to HVAC inspections, surveillance, the outdoors, security and many other areas. With a pocket-size device, you have a convenient way of taking your thermal camera wherever the job takes you. Therm-App is without a doubt a unique product. Its professional qualities are what makes it special for detailed analysis of heat subjects. For advanced thermographic applications, you can’t go wrong with the Therm-App ®TH as it includes analytical tools to help create your reports. 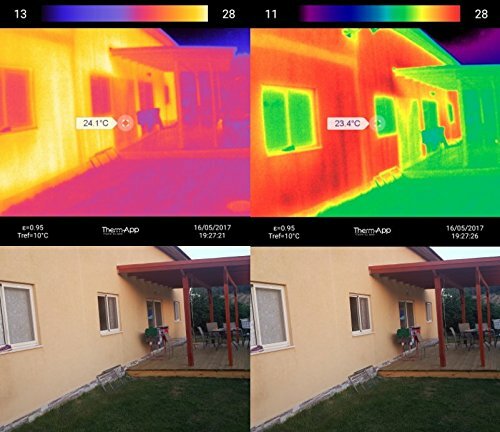 If you are looking to get high resolution on all your images, we recommend the Therm-App Pro 640 thanks to its 640 x 480pixels thermal detector. It will capture your images much better than you ever anticipate for a device its size. Thermalimagingcamerareviews.com is a participant in the Amazon Services LLC Associates Program, an affiliate advertising program designed to provide a means for sites to earn advertising fees by advertising and linking to amazon.com. Copyright text 2019 by Thermal Imaging Camera Reviews.